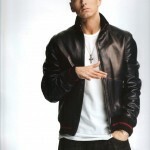 Marshall Bruce Mathers is an American songwriter, rapper, actor and record producer from Detroit Michigan born to Marshall Bruce Mathers Jr. (father) and Deborah R. Nelson-Mathers. Better known by his stage name, Eminem, the hip hop artist has been in the music industry since 1996, the same year when his debut album Infinite was launched. This album, though, got very few and negative reviews. It was in 1999 when he released another album, The Slim Shady LP, which got huge approval and became a popular rap favorite. This second album was so commercially successful that it earned Eminem his first Grammy Award for the Best Rap Album. From then on, the all-time best selling rapper has permanently earned himself a place in the hip hop map, a genre entirely dominated by African Americans. 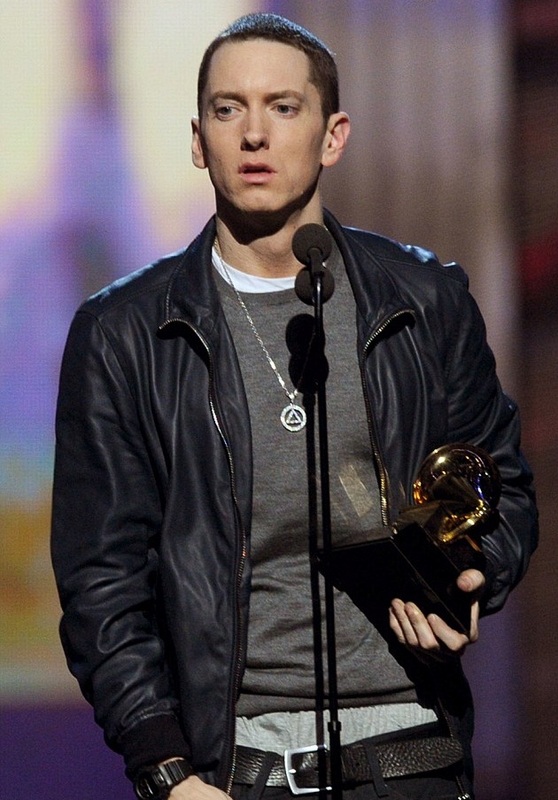 Eminem has received several awards for his music, which is loved by the masses because of its artistically executed rhymes. He has also done collabos with a number of famous recording artists such as Rihanna, Dr. Dre, and Snoop Dog among others. 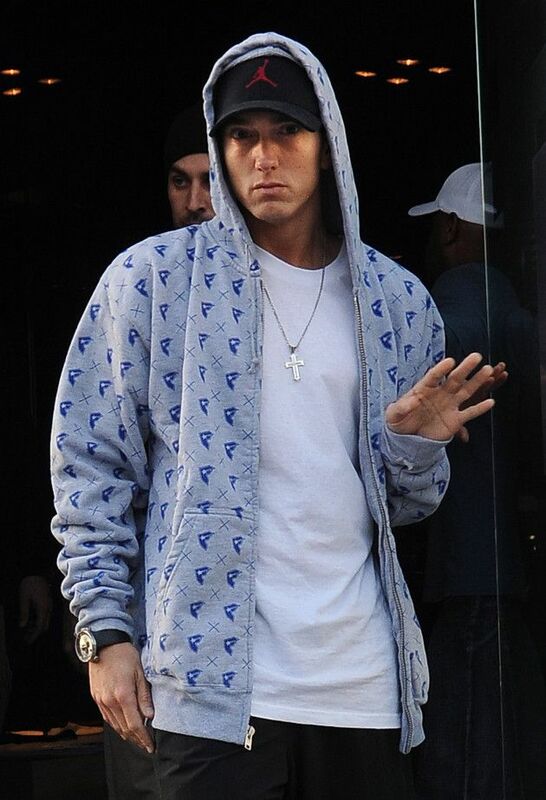 Apart from rapping, Eminem, because of his high profile celebrity status, is also subject to public scrutiny. Eminem’s body statistics is only one of the things that have been discussed about him. 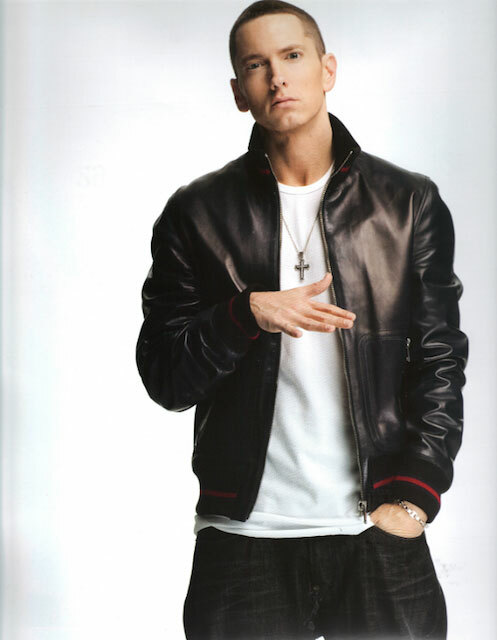 Eminem has a height of 5’8” and a body weight of 150 pounds or 68kgs. Averagely, his total body mass and height ratio is well balanced. 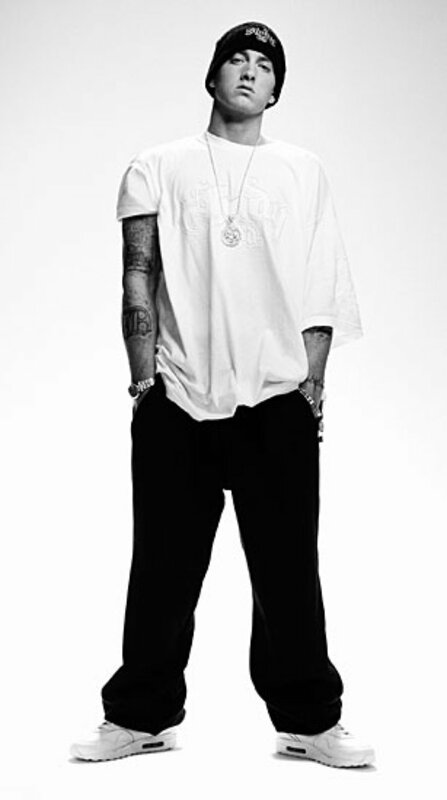 Apparently, Eminem at one point in his life, when he was still addicted to pills, weighed up to 230 pounds! But with a little advice and motivation here and there got back on his feet and started working out compulsively to lose the extra calories he was gaining. The hip hop star admitted that working out was initially not a part of his daily routine. He was addicted to prescription pills Valium and Vicodin. However, with the help of Dr. Dre and a few of his friends, Eminem started a workout routine that would help him lose close to half the weight he had gained from eating a lot. He even developed OCD for calories and had to burn up to 2000 calories daily. One of his favorite workout drills is running. He says he likes running on the treadmill and can cover up to 17 miles in a day, a habit he claims has become like an addiction. Apart from the ‘kiddie’ weights he lifted with Dr. Dre, Eminem’s exercise routine is mostly cardio exercises. Behind Eminem’s success is a life of struggle since the star had to undergo a lot while growing up. The now hip hop king grew up in a lower middle-class Detroit neighborhood where he was bullied most of the time by African American youth who dominated the neighborhood. Later on, he had to drop out of school because of his continuously dismal performance and started writing music. He studied the dictionary in his free time in order to enhance his vocabulary for his rhymes. He has also had problems with his mother who he claims gave him a rough childhood and his wife Kimberly Ann Scott, with whom he is divorced now.